I have also found that when teaching spiritual truths to my children, I am often confronted with my own lack of understanding on crucial, theological issues. By God's grace, I usually come away from my teaching sessions having grown myself in my understanding and knowledge of God. There's something about being able to teach that both humbles and strengthens the teacher. "God wants you to be happy (so pursue whatever makes you happy)." "God has great plans for you (and great successes in store); He wants to bless you (materially)." "God's purpose for your life is grand (and it includes a new car and great heath)." "All things have been made by Him and for Him." At last, I continued my conversation with my daughter, as she lay tucked under her blanket, holding her Hedgie next to her face. "Brielle," I continued, "God's great purpose for your life is that you worship Him. You were made for a reason, and that reason is for Him. You won't find any other satisfaction or joy or pleasure or happiness that is greater, because you have been made by Him and for Him." My heart was filled with joy as I basked in this reality. Contrary to what I often hear, my chief purpose is not found in myself; it is found in my Creator. I have been made by Him and for Him. 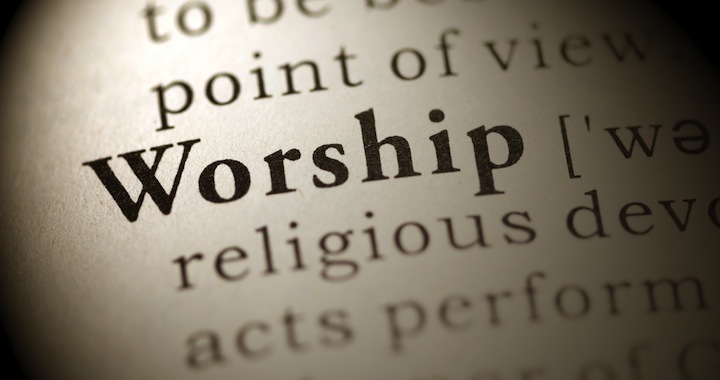 I have been made by God for a very special purpose: to worship Him! If I am going to be truly happy and content in my life, I must worship God through my attitudes, actions, and thoughts. He is the purpose I am here for. Brothers and sisters, there is, indeed, no other chief reason why we are here on this earth. We exist because of God; therefore, we exist for God. But sinners are helpless to worship God except through the way He has given us: through His Son, the man Jesus Christ. Praise be to God, who tells us to worship Him, gives us the ability to worship Him, and fulfills us through the worship of Him! It seems paradoxical: how can I be satisfied when my life's focus is on Someone else? Yet, it is logical and true that a created being would find his satisfaction in doing what his Creator created him to do. Indeed, it is the command of God that "all the earth" worship Him. sing to the Lord, all the earth!" (Psalm 96:1). "So, whether you eat or drink, or whatever you do, do all to the glory of God" (1 Corinthians 10:31).